Although the practice of mindfulness meditation has been around for a while, it is only in recent times that it has begun to gain traction in schools. As more research builds up to support the case for mindfulness, more schools are beginning to incorporate mindfulness into the curriculum. The school is located in a neighbourhood where gunfire was a common occurrence. Most of the students either know someone who had been shot or did the shooting. Murders were so frequent that a full-time grief counselor was employed by the school. Students were often fighting in the corridors, graffiting on the walls and cursing their teachers. The school had one of the highest rates of absenteeism and suspensions in the city. Teachers were worn-down and often sick. Academics suffered. The school tried everything, from counseling and peer support to after-school tutoring and sports. Nothing worked until they started incorporating meditative quiet time into the school day. In the first year, suspensions fell by 45 percent. Within four years, they had one of the lowest suspension rates in the city. Daily attendance rates rose to 98 percent, well above the citywide average. Grade point averages improved markedly. About 20 percent of graduates are admitted to Lowell High School – before Quiet Time, getting any students into the elite high school was a rarity. In the annual California Healthy Kids Survey, the students recorded the highest happiness levels in San Francisco. Body Scan – pay attention to any tension of stress in each part of your body. Yoga – begin the day with a basic sun salutation. Breathe – take a break and check in with your breathing any time during the day. 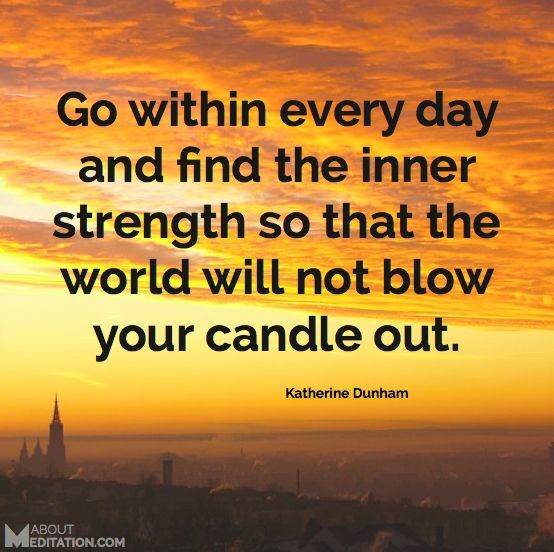 Relax – follow a guided meditation at the end of the day. Spend 10 to 15 minutes a day practicing any of these activities. Remember that consistency is the key. Designed to engage even the most cynical students, .b is taught using striking visuals, film clips, and activities that bring mindfulness to life without losing the integrity of classic mindfulness teaching. The Paws b program was developed for children aged 7 to 11 years. 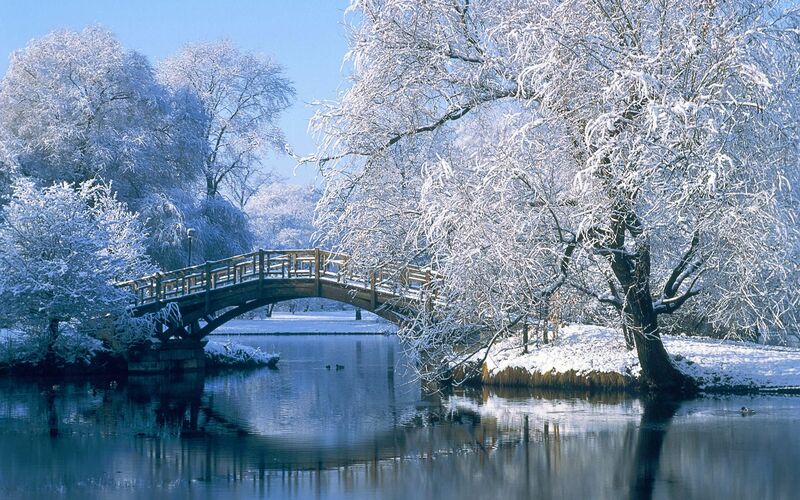 Deepen your awareness of your thoughts and emotions and recognize those feelings in others. Settle yourself down and proactively manage your emotions and reactions, like stress or anxiety. Approach people and everyday situations from the perspective of kindness and compassion. 7 Days of Calm – free introductory program teaches the basics of mindfulness meditation. 21 Days of Calm – deeper training so you can meditate on your own without your smartphone. 7 Days of Sleep – premium program to help with sleep. Unguided meditation sessions: 25 relaxing options with no voice-over; 10 immersive nature scenes, 16 blissful music tracks by Kip Mazuy. Guided sessions: 25 guided meditation session that last from just a couple of minutes to up to about 20 minutes. Free, 4-week, online mindfulness course with step-by-step guide. MindShift was developed by AnxietyBC, a non-profit organization devoted to increasing the public’s awareness and access to evidence-based resources on anxiety disorders, and BC Children’s Hospital, an agency of the Provincial Health Services Authority. 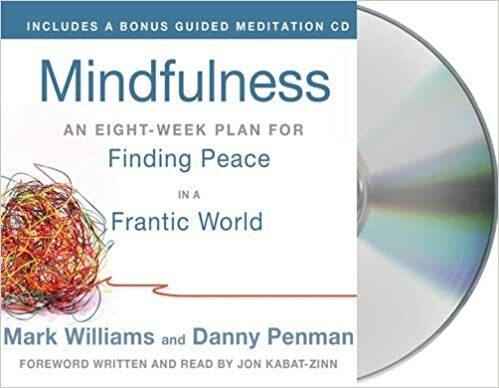 The book is based on Mindfulness-Based Cognitive Therapy (MBCT) – a straightforward form of mindfulness meditation which takes just 10 to 20 minutes a day. It is recommended not only for people who are depressed but those who are struggling to keep up with the constant demands of the modern world. MBCT was developed by the book’s author, Oxford professor Mark Williams, and his colleagues at the Universities of Cambridge and Toronto. The book includes links to audio meditations to help guide you through the process. master key techniques such as breathing, relaxation, body scanning and concentration building. Learn to completely engage in the present moment, and in the process overcome negative thoughts and feelings. 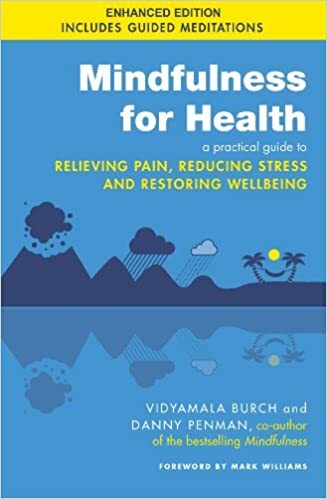 The book also includes chapters on using mindfulness to self-treat such specific problems as depression, stress and anxiety, and relationship issues. This new book shares the secrets of the Mindfulness-based approaches to pain and illness therapy. It is developed by Vidyamala Burch at the Breathworks centre in Manchester and which has its roots in the groundbreaking work of pioneer Jon Kabat-Zinn from the University of Massachusetts Medical Centre in the US. The eight-week programme at the heart of this book takes just 10-20 minutes per day. Full Catastrophe Living is based on Jon Kabat-Zinn’s renowned mindfulness-based stress reduction program. Kabat-Zinn’s groundbreaking work—which gave rise to a whole new field in medicine and psychology—shows you how to use medically proven mind-body approaches derived from meditation and yoga to counteract stress, establish greater balance of body and mind, and stimulate well-being and healing. By engaging in these mindfulness practices and integrating them into your life from moment to moment and from day to day, you can learn to manage chronic pain, promote optimal healing, reduce anxiety and feelings of panic, and improve the overall quality of your life, relationships, and social networks. 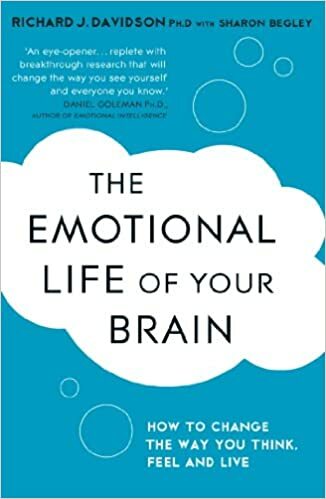 Written by a pioneer in neuroscience, this book brings a new understanding of our emotions – why each of us responds so differently to the same life events and what we can do to change and improve our emotional lives. From thirty years of studying brain chemistry, Davidson shows just why and how we are all so different. Just as we all have our own DNA, so we each have our own emotional ‘style’ depending on our individual levels of dimensions like resilience, attention and self-awareness. Helping us to recognise our own emotional style, Davidson also shows how our brain patterns can change over our lives – and, through his fascinating experiments, what we can do to improve our emotional responses through, for example, meditation. Deepening our understanding of the mind-body connection – as well as conditions like autism and depression – Davidson stretches beyond mainstream psychology and neuroscience and expands our view of what it means to be human. Stress affects learning – it interferes with our basic needs from Maslow’s Hierarchy and distracts our attention from learning. Children need to feel safe in order to learn—if they become stressed in school, their brains will spend more energy on self-protection than learning. – William Stixrud, Ph.D. Stress triggers the fight or flight response which overrides our higher order brain functions (the part of the brain that allows us to focus our attention, understand ideas, rationalise and think critically, and learn). The shutting down of higher order brain functions allows our lower brain to respond instinctively to anticipated dangers. This quick reflex action was necessary when the threat of predators was real. Although such dangers no longer threaten our children, the instinct remains and it comes online whenever we are stressed. When our children are overwhelmed by their body’s response to stress, they will find it difficult to learn. Helping children manage stress helps them do well at school. A knee-jerk response might be to ensure that our children never feel stressed so they can always function at an optimum. Unfortunately (or fortunately) life is not about absolutes – there are always ifs and buts so a distinction needs to be made about the differences between good stress and bad stress. We do not want to completely eliminate stress from our children’s lives because a certain level of stress is beneficial, even necessary for healthy child development. There is the good stress where we are able to rise to a challenge. This is the kind of stress we want our children to experience because it provides great opportunities for developing the mind and character. An example of good stress might be when a child is about to enter into a competition or perform before an audience. Tolerable stress is when the experience is tough, but we can still cope and recover. This kind of stress is less ideal but pretty powerful if our children are able to find the strength to get through it. An example of tolerable stress might be having to face the death of a loved one, or changes in family dynamics, such as a divorce. Then there is bad stress which overwhelms our children and prevents their brains from healthy development. It is this kind of stress that we want to protect our children from. A common example of bad stress for children might be persistent bullying at school that continues unchecked. What’s tolerable or bad also depends on the individual. What one individual might view as bad, another may consider to be tolerable, and vice versa. Stress perception depends largely on the perspective of the individual. As much as we want to protect our children from the bad stress, sometimes it can be beyond our control. The best thing that we can do is teach our children how to handle stress – help them to develop the skills to deal with it. We can even go one step further – teach them the positives of stress and how to make it their ally (yes, we may have borrowed something from Yoda there). That takes us back to Carol Dweck’s Mindsets. “There is nothing either good or bad, but thinking makes it so.” – William Shakespeare, Hamlet. When people perceived stress as something positive, it became a positive in their lives. People who reported having high levels of stress and who believed stress had a large impact on their health had a whopping 43% increased risk of death. On the other hand, those that experienced a lot of stress but did not perceive its effects as negative were amongst the least likely to die as compared to all other participants in the study. Employees who viewed a video that approached stress as enhancing reported better work performance as well as less psychological complications. Students who naturally saw stress as helpful had a more moderate stress response when they were told that five students in their class would be randomly selected to record a speech on video. They were also more likely to request feedback on their speeches. In a study comparing experienced meditators with non-meditators, researchers found that meditation could affect how genes are expressed. It can down-regulate the expression of genes involved in inflammation, and in the body’s stress response. Meditators were also able to recover from stressful situations much more quickly than their non-meditating counterparts. This is the first study to demonstrate the effect of meditation at the molecular level. We’re no longer talking about correlations – we’re seeing real molecular manifestations resulting from meditation. A University of California, Los Angeles study found second- and third-graders who practiced “mindful” meditation techniques for 30 minutes twice a week for eight weeks had improved behavior and scored higher on tests requiring memory, attention and focus than the nonmeditators. Another study of more than 3,000 children in the San Francisco Unified School District found a dramatic improvement in math test scores and overall academic performance among students who practiced transcendental meditation, a form of mediation that promotes relaxation and “an awakening” of the mind. The study also found a decrease in student suspensions, expulsions and dropout rates. And other recent studies have demonstrated the ability of “mindfulness” techniques, especially those used in meditation, yoga and tai chi, to reduce impulsiveness, control emotions and ease stress. I first heard about Melissa Dormoy and Shambala Kids when I was looking for Right Brain Education resources for children on imaging, meditation, and relaxation. Since then we regularly use Shambala Kids recordings to help the boys learn to meditate because there has been much documented evidence . Go on a different adventure every night in your mind using your imagination and learn the foundation of living a loving, happy life! 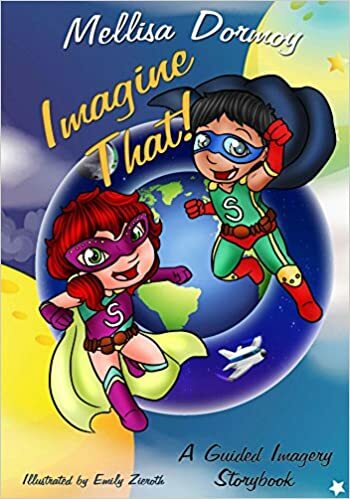 In this thoughtful, heart-warming book, children are taught the importance of feeling gratitude, being kind, forgiveness, following inner wisdom, the power of affirmations, laughter and self worth. A large guided imagery section is included to accompany each powerful yet simply explained life lesson. At a 2nd grade reading level or above, your child will be able to read the beautiful life lessons at the beginning of the storybook by him or herself. The guided imagery section in the second half of the book is created for adults to read to the children. Certified Hypnotherapist specializing in Guided Imagery, teacher and author of over 30 CD titles, Mellisa Dormoy is a consulting hypnotherapist and the founder of ShambalaKids which promotes meditation, mindfulness and guided imagery for kids and teens. Her CD lines and programs include relaxation CDs on topics such as kids’ self-esteem, teen stress management, specialty programs in children’s ADHD and parental self-care. Mellisa also trains teachers and entrepreneurs in Children’s Relaxation Class Techniques and Teen Mindfulness Coaching. She contributes to the online publication Green Children Magazine since 2013, writing articles on kids’ relaxation and creating guided imagery scripts. She also contributed to Joe Vitale’s book, The Midas Touch: The World’s Leading Experts Reveal Their Top Secrets to Winning Big in Business & Life released in April, 2015 in which she discusses the power of the subconscious mind. Mellisa holds a BA in Psychology from Excelsior College in NY, graduate credits from La Sorbonne University in Paris, and numerous specialized certifications including pediatric hypnosis, guided imagery, regression therapy and stress reduction. The ability to relax is an essential skill in our hectic world today. Kids are shuttled from home to school to after school activities and home again, often without transition time or down time. We hope that children can lead happy, relaxed, and calm lives, but often we neither teach them how to do this nor do we lead by example. This book provides stories to help children learn to calm their bodies and relax their minds. 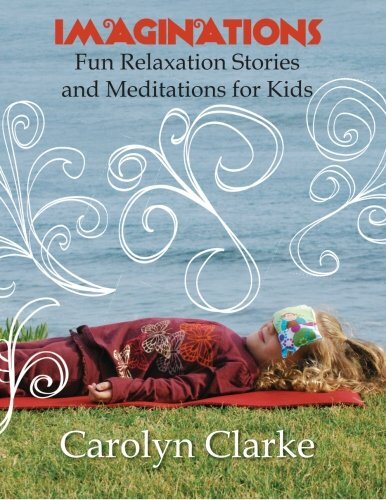 Wildly imaginative and whimsically joyful, Carolyn Clarke’s guide is a wonderful tool for children to learn that the most important spaces in life are often the quiet moments in between. The stories and illustrations contained in this volume help children learn to calm themselves and release the tension of their lives in a positive, healing manner. A child’s ability to consciously relax their body and clear their mind can help address a myriad of issues, such as anxiety, stress, and excessive worry; sleep disorders, nightmares, and fear of the dark at bedtime; anger issues; focus and concentration issues; special needs, including ADD, ADHD, Aspergers, autism, and OCD; depression; low self-esteem; grief; and life changes such as moving, divorce, or changing schools. Opening up worlds and universes with evocative stories and vivid details that simultaneously calm the mind, body and spirit, Clarke’s debut is an extraordinary aid to help children not only tap into their inner calm, but to expand their imagination to its outer limits—and beyond. Intended as a tool to use with the children in your life, it is so much more: it is a skill that they can use for the rest of their lives to improve, enhance, and maximize their quality of life. Unlike any other book of its kind, Imaginations: Fun Relaxation Stories and Meditations for Kids is the greatest gift you can give your child. 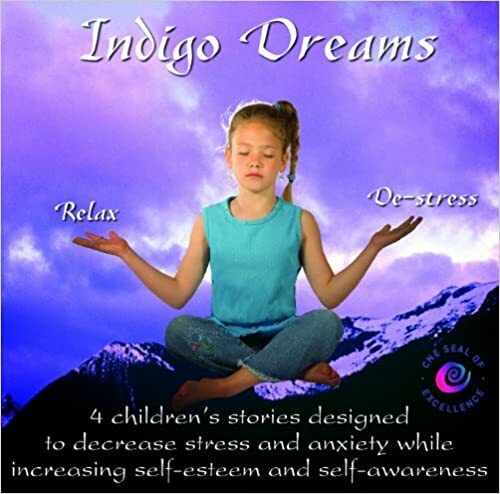 Indigo Dreams is a 60-minute relaxation audio book designed to entertain your child while introducing them to relaxation and stress management techniques. Four unique bedtime or naptime stories incorporate breathing, visualizations, progressive muscle relaxation, and affirmations. 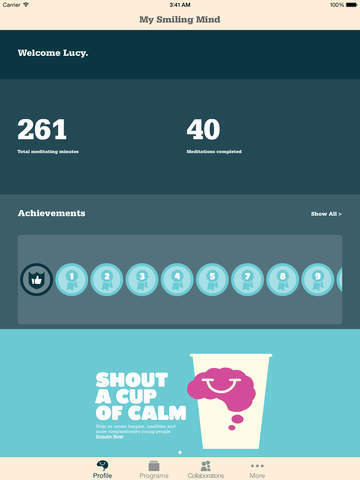 These are the same self-calming techniques recommended for adults but presented in a fun, interactive format that appeals to children. Children follow the characters along as they learn diaphragmatic breathing with A Boy and a Bear, make positive statements with The Affirmation Web, visualize with A Boy and a Turtle, and use progressive muscle relaxation with The Goodnight Caterpillar. All four of these stories are also available as mp3 downloads, paperbacks, and eBooks. Indigo Dream s shorter stories are perfect for shorter attention spans and beginners. The story lengths range from 6 to 10 minutes. Each story introduces a different relaxation technique that children can use to relax, self-soothe, build self-esteem, and improve sleep. Female narration is accompanied by soothing sounds of crickets, gentle breezes, and forest animals. An additional 30-minute music sound track is included to further enhance your child s relaxation experience. Driven by the desire to help her three-year-old daughter settle down into a peaceful night’s sleep, Maureen Garth devised meditations that would help her daughter feel secure and cared for. 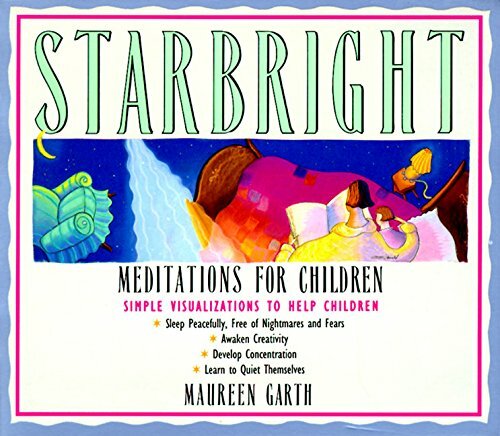 Starbrightis a collection of the stories Garth created as her child grew older. These innovative meditations are simple visualizations parents and teachers can read to their children to help them sleep, develop concentration, awaken creativity, and learn to quiet themselves. Children pay close attention to their parents’ moods. When parents feel upset, their kids may become anxious, and when parents wind down, children also get the chance to relax. When you feel overwhelmed and stressed, it can be hard to help your child feel balanced. 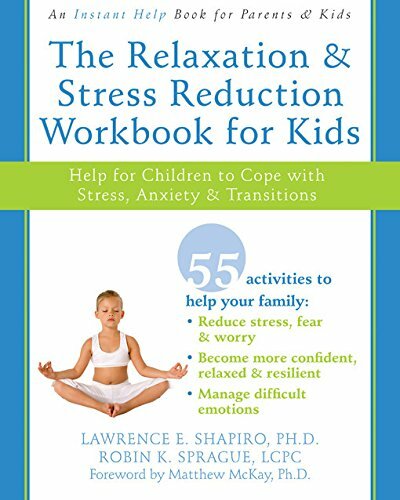 Written by two child therapists, this book offers more than fifty activities you can do together as a family to help you and your child replace stressful and anxious feelings with feelings of optimism, confidence, and joy. You’ll learn proven relaxation techniques, including deep breathing, guided imagery, mindfulness, and yoga, and then receive guidance for teaching them to your child. Your child will also discover how taking time to do art and creative projects can create a sense of fulfillment and calm. By completing just one ten-minute activity from this workbook each day, you’ll make relaxation a family habit that will stay with both you and your child for a lifetime. If you have ever wished you could show children and teenagers how to enrich their lives with meditation and visualization, this book will delight you. 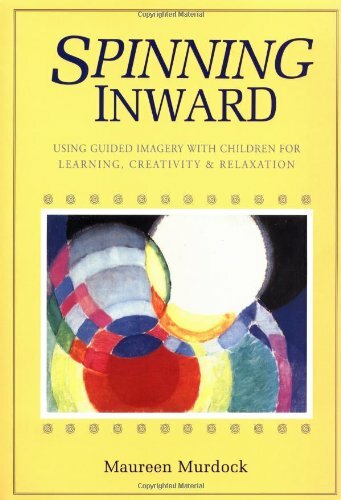 It presents simple exercises in guided imagery designed to help young people ages three through eighteen to relax into learning, focus attention and increase concentration, stimulate creativity, and cultivate inner peace and group harmony. The use of guided imagery has been internationally recognized as an effective method of “whole brain” learning. The author’s approach will have special appeal to parents and teachers who are frustrated by an educational system that seems to reward only those children who excel at verbal, linear learning. With the exercises in this book, young people can discover learning styles that are effective and enjoyable for them. 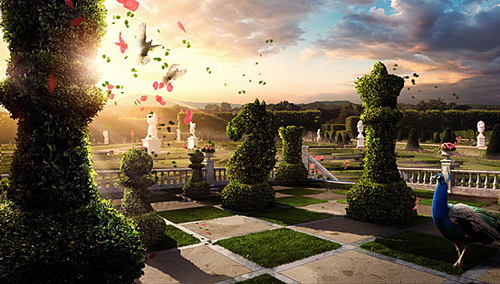 These techniques of guided imagery offer adults as well as children a unique way to tap the wealth of creativity and wisdom within. Nature sounds, recorded or live, may be beneficial to our health. Participants who listened to a recording of a natural soundscape showed greater mood recovery after a disturbing event than those who listened to the same soundscape but with added human-made sounds, such as voices and cars. 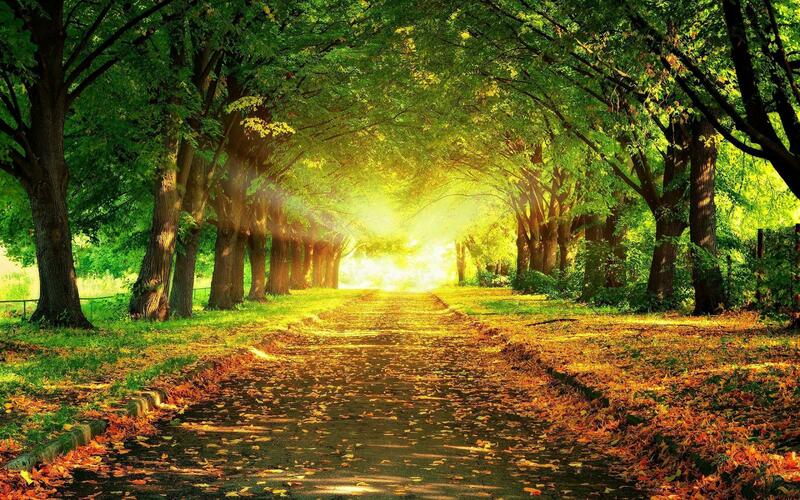 Natural soundscapes can provide restorative benefits independent of those produced by visual stimuli. Only the group that has listened to natural sounds only recovered their original mood at baseline while no change was observed for the other three groups. Results: When listening to the natural sounds, the workers not only performed better on the task, but also reported feeling more positive about their environment than they did in the other sessions. All studies were small and they don’t take into consideration the full range of nature sounds. For instance, the effect of listening to the sound of thunderstorms will vary depending on the individual listening. Different sounds from nature will also affect each individual differently and what works better for one may not be as effective for another. Some personal experimentation may be required to identify what works best for each of us. Up until recently, I have been using recordings of nature sounds until I discovered Relaxing Melodies. Intended as a sleep aid, this app allows you to select sounds and melodies that you like and combine them to create a mix. You can adjust the volume of each sound individually so it’s just the way you like it. They also recommend it for relaxing at the spa, exercising during yoga or relaxation classes, massage sessions, or when taking a nap! For parents, this might just be the perfect app for helping your baby fall asleep. 108 outstanding high quality ambient sounds. 12 brainwave beats including Binaural & Isochronic frequencies. Mix up to 12 sounds all together! Background support – listen to your mixes while using other apps on your device. Individual volume adjustment for sounds and melodies. Includes 9 off-the-shelf favorites for an easy startup. Create, Save, Name, Sort and Replay your favorite mixes easily. Timer system allows you to set a duration to your favorite mixes so that you will automatically exit the app after a period of time so you don’t have to leave it playing through the night. You can also use the alarm clock to help you wake up in the morning. Enjoy an unique and beautiful interface for an easy selection of sounds. Blog access to tips & articles from experts to help you understand and improve your health. Discovery Mode – search & share your mixes with a community of users! Music Player – add songs from your own music library into your relaxing mixes. This is the best app I have seen that incorporates ambient sounds, simple guided meditation tracks, binaural beats and isochronic tones, and any music track of your choice! It is exactly what I’ve always wished I could do with my other meditation/ambient sounds/binaural beats audio tracks. 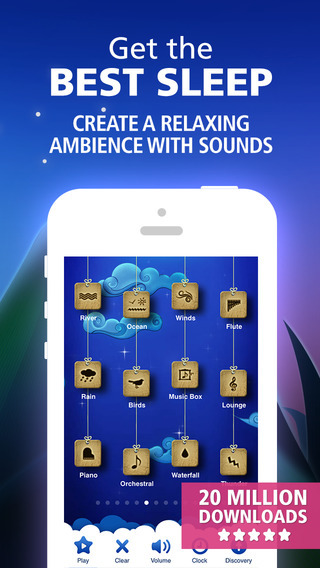 As I mentioned earlier, different ambient sounds will affect each individual differently so this app allows you to experiment and identify which combination of sounds works best for you in your given scenario – e.g. if you’re trying to fall asleep, or if you need to work on a project. With the positive benefits of meditation, the potential beneficial effects of isochronic tones, and the positive effects of listening to nature sounds, combining all three into an effective mix would be like putting your mind on steroids. I only wish I had discovered this app earlier! There are many ways to sharpen the brain and keep it finely honed – methods that have consistently proven time again through research to be effective. But let’s face it… in the rapid pace of life that we live in, it can be difficult to fit one or two of these activities in. Given the limited commodity of time, we all want the biggest bang for our buck. What it comes down to is how we can combine these activities so we can get the most out of the time we spend. So what are some ways we can maximise our brain training time? We have reviewed many studies that demonstrate impacts of nature experience on human cognitive function and mental health. These effects have been shown to occur in measures of memory, attention, concentration, impulse inhibition, and mood. The studies considered here span many of the major areas of examination within contemporary psychology and, taken together, constitute a strong foundation for an emerging field of inquiry. Even if we can’t claim the cognitive benefits of nature with a certainty, what is definitely clear is that nature is good for our emotional well-being and we all know that emotional well-being impacts work performance and academic achievement. If you extrapolate this further – a happy brain functions better. 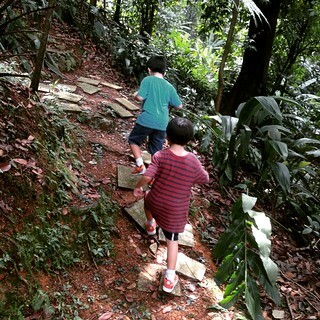 Bottom line: nature is good for the brain. Children with higher levels of emotional, behavioural, social, and school wellbeing, on average, have higher levels of academic achievement and are more engaged in school, both concurrently and in later years. Human emotions are real and they impact a wide range of material business metrics, from a company’s share price, to the value of its brand, through to its customer service rating. Since hiking is a physical activity that does not require too much focused attention, it frees your mind for further mental exercise. 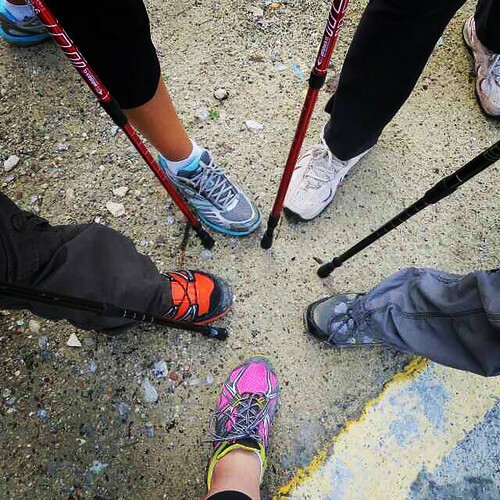 The next time you go for a hike, try putting your walk on steroids with a little Mindfulness Meditation. Meditation can change the brain’s grey matter which is a major part of the central nervous system associated with processing information and providing nutrients and energy to your brain cells. If simply looking at nature can improve brain function – and we’re talking pictures of nature, not even the real stuff – then all we really need are some pictures of nature plastered on the walls where we can gaze at them while taking mini-breaks from whatever we’re working on. Physical activity is good for the brain and by virtue of that fact, any sport will also do the trick. If you want to up the ante, choose a sport that will get you outdoors, like rock climbing, biking, or rowing. For the biggest bang of all, do yoga because it offers the greatest brain benefits. 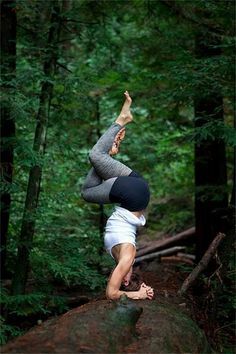 And where else should you practice yoga but outdoors in a park surrounded by nature. There’s so much out there on the numerous benefits of being able to speak a second language that I think we need not say any more on this topic. Music enhances coordination, concentration and memory, and improves eyesight and hearing. The process of learning to play an instrument refines the development of the brain and the entire neurological system. Studies show that musical training develops the part of the brain responsible for processing language, and that it can wire the brain’s circuits in specific ways. 2 years of learning piano has shown an increase of 30-40% in Math and Spatial scores. 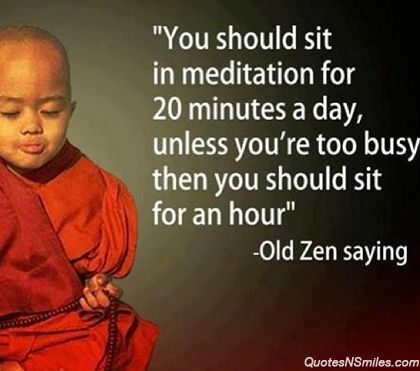 We keep hearing about meditation benefits and how good it is for our minds and bodies. So this is a post to summarise all those wonderful benefits.